Especially after a hailstorm, a wind storm, or a heavy snowstorm, this question crosses homeowners’ minds. You may be asking yourself, “Is it time to replace my roof?” The following pointers can help you gauge whether or not it’s time for a roof replacement. Our region is graced by established neighborhoods with charming older homes, many of them historic. While the architectural styles and mature landscaping add to the beauty of these communities, the advanced age of many of these homes points to the need for maintenance, including roof replacement. How old is your house? If your home is over 20 years old and the roof has never been replaced, it’s probably time to get a new one. If you notice nearby neighbors getting a new roof, that’s an indication that you may need new roofing, too. Typically, homes within the same neighborhood were built at around the same time; the fact that neighbors are replacing their roofs means that, age-wise, the roofing materials in your development have reached the limit of their lifespan, and your roof’s structural integrity may be compromised. Regardless of the age of your house, wear and tear can significantly impact the integrity of your roof. In many of our communities, we’ve been experiencing more weather extremes in recent years. We’re seeing longer-duration hailstorms and larger hailstones. Strong windstorms with microbursts are not uncommon, and not just in the spring. Snowstorms with large accumulations are also becoming more commonplace. These acts of nature can diminish your roofing materials’ durability, especially when both the frequency and duration of these events increases. Even on a year when storms are mild, there’s another culprit to consider — the sun. Intense heat and ultraviolet radiation beating down day in and day out degrades your roof. So, even if you’re not experiencing extreme weather, your roof is going through significant wear and tear just from sunlight. Expansion and Contraction: Daily temperature fluctuations can cause a significant degree of expansion and contraction in each tile. Moisture also has a noticeable effect. Cracking: Everything from intense sun to repeated cycles of getting wet (from rain, snow, or fog) and drying up (from sunshine and wind) can lead to shingles and other roof components cracking. Worn Shingles: Over time, weather wreaks havoc on shingles’ protective coatings, wearing them thin and leading to roof degradation. Getting An Estimate Doesn’t Cost You Anything! If you’re not sure if it’s time to get a new roof, the best thing you can do is get an estimate. It’s absolutely free, so it costs nothing to find out if you need a roof replacement in the near future, or if it can wait several years. Get a free estimate for your own peace of mind. And, if it turns out that you do need your roof replaced now, it’s better to take care of it in a timely manner before your roof leaks and you have a bigger, more costly problem on your hands. 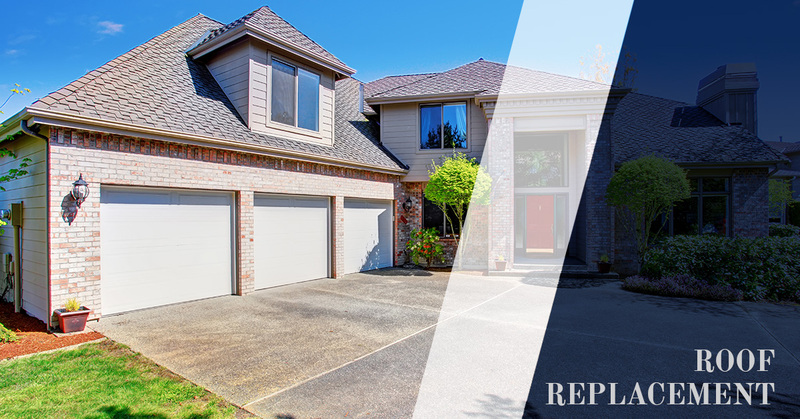 Another question homeowners may ask themselves is, “Should I replace my roof, or should I simply have it repaired?” There are cases where the repair option exists, and you’ll have to weigh the pros and cons carefully before reaching a decision. Sometimes, though, you don’t have a choice; the roof is degraded to such an extent that you have to replace it. In general, here are things to consider when you’re wondering whether to repair or replace. How Much Of The Roof Surface Needs To Be Addressed? If most of your roof is still relatively new and in good condition, then roof repair may be the appropriate choice. Perhaps there’s just a small portion of your roof that’s showing significant wear; it could be a few tiles that have blown off in a strong windstorm, for example. There’s no need to replace the entire roof when only a few pieces here and there need to be swapped out with new materials. Is It Acceptable To Replace Just A Few Shingles? In many instances, yes, it is. Replacing a few shingles here and there may be enough to restore the aesthetics and the integrity of your entire roof. If this is the case, reputable roofing contractors will let you know. Adept Construction operates under the premise that it’s in everyone’s best interest to educate consumers about the best approach in each case. You can be sure that our knowledgeable team will assess the condition of your roof and give you an honest, expert opinion. As experienced roof contractors serving Naperville, Villa Park, Downers Grove, and surrounding communities, we’re very familiar with the age and condition of roofs in this region. We’ve repaired and replaced roofs of all types, so we’re in tune with the type and extent of damage found here. Therefore, we will give you an informed, accurate assessment of the state of your roof. If only a few shingles need to be replaced, we’ll let you know, but if the whole roof should be replaced as soon as possible, we’ll make sure to tell you and explain why. Whether you’re looking at roof repairs or a whole-roof installation, it’s important that you address issues in a timely manner. Putting off repairs or a replacement can lead to water seeping into your walls, your attic, or other parts of your home, creating structural damage that can be expensive to repair. Water seeping into your home due to leaks in your roof can also lead to mold, which is a health hazard and is difficult to remove. Avoid these potential problems by taking care of the needs of your roof now. When it is time to replace your roof, you’ll want to explore all your options. Roofing technology continues to evolve, and Adept Construction will be happy to discuss what’s available today, as well as what to expect in terms of cost, durability, beauty, and more. As your local roofers, we’ll let you know what works, and what doesn’t, in the greater Naperville area. And you don’t have to take our word for it; read our testimonials. You’ll see that our customers are satisfied with the service we provide and the level of professionalism we convey in all of our interactions. As roofing contractors serving residential and commercial contracts throughout Naperville, Villa Park, Downers Grove, and beyond, we truly have your best interest in mind. We won’t recommend a roof type that’s wrong for your home or your neighborhood. In addition, we’ll use only quality materials, regardless of the type of roof we’re installing, and regardless of the type of roof you currently have. We don’t take shortcuts; we do the job right! The most popular type of residential roofing material, asphalt shingle roofing is also very cost effective. There are many types of shingles to choose from, including designer styles. You can choose from many different colors, and we can match the current color of your roof, if you prefer. Asphalt shingles are highly durable, able to resist both moisture and heat. These shingles have a protective coating for optimum performance and durability. At Adept Construction, we recommend fiberglass asphalt shingles for a superior, long-lasting product. For a terrific look, opt for architectural shingles, which are also called three-dimensional or laminate shingles. They create a textured appearance that enhances a home’s beauty. It’s not uncommon to find homes with flat roofs in our region, especially older, historic properties. Flat roofing offers certain advantages in terms of increasing a home’s usable space, since flat roofs can be used as living areas. Possibilities include rooftop patios or gardens. As you’d expect, there are unique challenges associated with flat roof designs. Roofers have to design and build a slight incline into any new flat roof installation, since pooling water is not acceptable. Installing a flat roof involves adding plywood sheathing, topping with an underlayment, beveling corners, dry-fitting the roofing, gluing down roofing material, and finishing the edges. It takes a great deal of skill to do the job right. 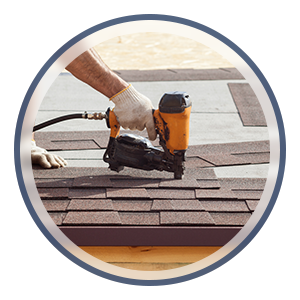 At Adept Construction, our roofers possess that level of skill to complete the job expertly. Another popular option is cedar shake roofing, which comes in shakes or shingles. These quality wood shingles hold up well in harsh weather because, being made of wood, they “breathe.” What’s more, cedar is known to be a natural insulator, which can save you money on your energy bills. Cedar shake roofing comes in many different styles and colors you can choose from, with a range of finishes to achieve the look you want. Cedar wood can beautifully complement your home’s architectural design, and it holds up well to moisture, wind, and intense sun. Cedar shakes and shingles are treated at the factory to resist fire, fungus, and other dangers, and their natural preservatives make them insect resistant, too. As local roofers serving Naperville and beyond, Adept Construction also does many composite roof installations. This type of roofing makes use of a combination of materials, which may include asphalt, fiber cement, and recycled plastic. The result is a highly durable roof that contributes to your home’s aesthetics while being lighter and less expensive than slate or clay roofs. Our customers choose composite roofing for its strength, beauty, and performance, and also for cost savings. With composite roofs, you won’t see the material warp or peel. We’ll help you select the right types of composite roofing material to accentuate your home’s curb-appeal while performing well in our Illinois climate. Some roof types are not practical because they add too much weight to the house. The new roofing materials can’t be too heavy for the existing framing. Reputable roofers will know if a specific roof will be too heavy for the structure it’ll sit upon, and they’ll let you know that this choice is not a practical one. You may have a great idea for a unique roof that will complement your home beautifully, but the question is, will it meet local building codes? Again, local roofers with ample experience in this area will know what is and what isn’t possible in terms of local rules and ordinances. Increasingly, roofing material is made to be more eco-friendly. Customers may opt to choose natural materials, or roofing shingles made from recycled materials. In addition, some materials can be recycled when the roof is replaced. The last thing anybody wants to worry about is a fire, but it should give you peace of mind to know that your roof is made from fire-resistant materials. Ask about the fire-resistant quality of the roof type you plan to have installed. In particular, fiberglass asphalt shingles and treated wood have excellent fire-retardant properties. Ask your friendly local roofers about other roofing considerations you should keep in mind. 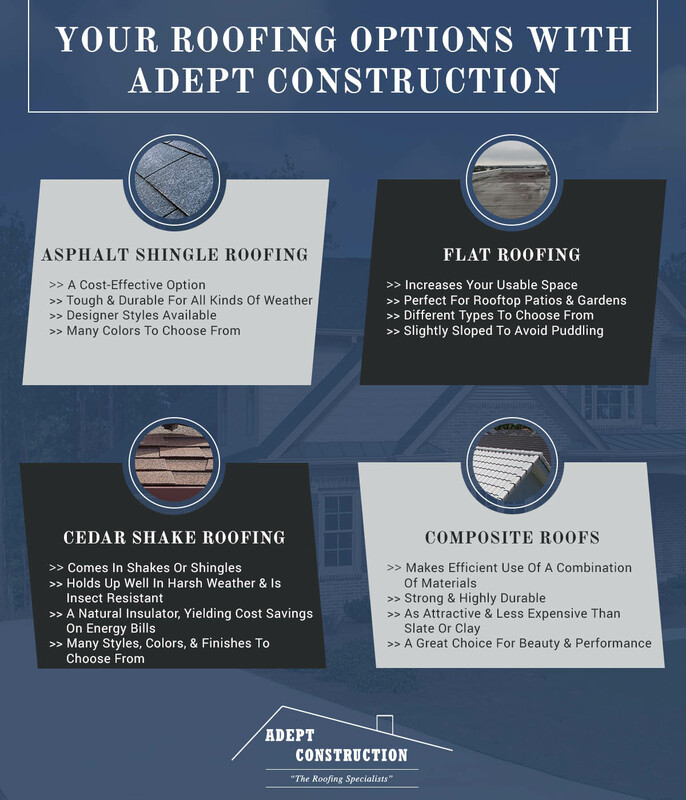 The roofing specialists at Adept Construction are ready to share our extensive knowledge with you so you can make the right roof replacement decision you’ll be happy with throughout the life of your new roof! We’ve covered a lot of ground on this page, but we’re sure you have more questions. Schedule your roofing estimate today, and we’ll send a qualified representative to carefully check your roof and come up with a plan, along with an estimate for the work that needs to be done. Whether you need a full roof replacement or repair of sections of your existing roof, Adept Construction is the right choice for a number of reasons. Adept Construction has been in business since 1997, providing exceptional construction services to residential and commercial clients in Naperville, Villa Park, Downers Grove, and neighboring communities. In addition to offering roof repair and replacement services, we take care of gutters (ask us about seamless gutters), and we’re siding specialists. We receive many calls after bad hail storms from homeowners worried about hail damage to their roofs and their vinyl siding. We can help you take care of both, and we’ll be happy to work with your insurance company towards a vinyl siding and roof replacement solution, should the hail damage warrant both. Adept Construction is a family-owned business that takes great pride in serving our community by providing exceptional roofing, gutter, and siding services. This high level of pride translates into outstanding workmanship using quality materials. Want to know what others say about us? Read our testimonials to see the difference that we make in our customers’ lives. Whether we’re repairing your roof, installing a new roof, or simply addressing your questions, we believe in delivering excellent customer service. It begins with a deep level of respect for the individuals, families, and businesses we serve. And it continues with our teams communicating clearly with you at every step. If you’re thinking it might be time for a roof replacement, get in touch with us. We have several convenient ways for you to reach us. You can call us at our main number, (331) 222-7472, or you can fill out our convenient online form to ask questions or request an estimate. Your roof is important. It protects not only your home, but your family and your treasured possessions, too. Make sure your roof is intact and structurally sound so that it’s doing its job effectively without leaking or slowly seeping water into your house. Contact Adept Construction today to schedule your free roofing repair or replacement estimate.